If you are searching for quality South Jersey eye doctors taking Horizon insurance, contact the offices of South Jersey Eye Associates. We are located in a state of the art facility in Bridgeton, NJ, and we provide comprehensive vision and eye care services to residents throughout South Jersey. Our optometrists and ophthalmologists are trained and educated in the latest technologies in vision care. We accept all major insurances, including Horizon, Aetna and Medicare among many others. South Jersey eye doctors taking Horizon insurance are a proud part of a network of healthcare providers that serves over 3.8 million members across New Jersey. 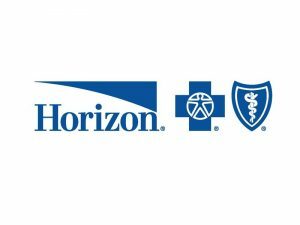 Horizon Blue Cross and Blue Shield has been providing insurance services to residents for over 85 years, and we trust their commitment to their members and community. To learn more about Horizon, click here to access their website. Eye Care. We use the latest in diagnostic technology and eye care techniques to treat patients suffering from low vision, cataracts and allergies among many other ailments. Our doctors also perform LASIK and vision correction procedures on outpatient basis when possible. We take the time to accurately diagnose and treat your vision problems with our attention to personalized care. Eye Wear. Select personalized eye wear from our catalog of over 1,000 name brand and designer eyeglasses for all budgets. We price our eye wear at a level competitive with larger retail outlets and department stores, and our professionals are here to help you choose the ideal eyeglasses in a pleasant, relaxed setting. At South Jersey Eye, we are here to help you see the world better again. Contact us today to set up an appointment through your Horizon insurance and learn more about what we can do for you and your eyes.